now EXPERIENCE the 'Bare Creek' in action! and hot shots, see helpers in action and solve the mystery of switching Oakhill. Over an hour of train action narrated by the Superintendent of Nearly Everything, plus 30 minutes of extras: ballasting, basic scenery, and advanced greenery. 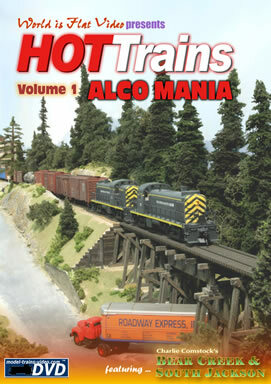 The main video is now available in Hi-Def on TrainMasters.tv ! 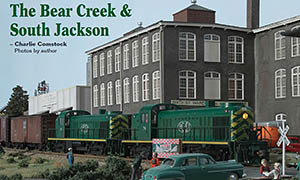 The Bear Creek was the cover story in the April 2014 issue of Model Railroad Hobbyist. I wrote about the layout's 10th anniversary and how it got to it's current state. Plus lots of new photos. Click here to check out the 10th Anniversary article. The companion video for the April 10th anniversary cover story is available on YouTube. Photo Gallery: photo contest entries shot in Oakhill - July, 2013. Changes and updates to this site. Bear Creek & South Jackson II - R.I.P. - version 2 in my old garage. All the news that's fit to print - and then some! Certified USDA prime malarkey! The leading (and only) news paper of the Bear Creek area. 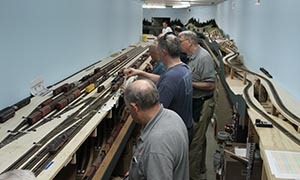 Check out layout life from an HO scale person's view point. Jim Reardon's On3 D&RGW masterpiece. Pete Vassler's HO Portland and Willamette. Ralph Livermore's HO Union Pacific. Joe Fugate's HO Siskiyou Lines. Shaun Toman's old HO Union Pacific. 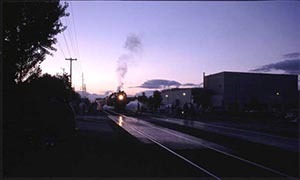 SP&S 700 - a large Northern class steamer. BCSJ II my around the wall helix design. BCSJ I my 4x8 HO twice around. Painting a backdrop. 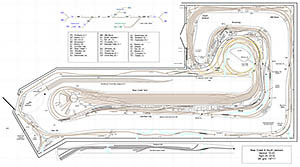 Clinics I've presented Building Masonite Spline roadbed. Building roads with drywall compound. 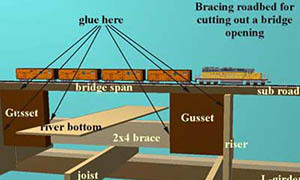 How to brace roadbed at the ends of a bridge. Notes on model railroad photography. 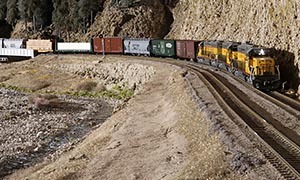 Outdoor model railroad photography - natural light on my timesaver. Scale operating switchstands - I scratch built some operating switch stands. Top 10 lists - don't even think about taking these seriously! Inneresting train pictures - Doh! 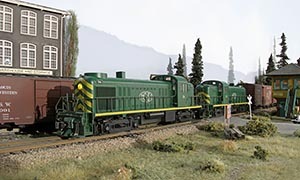 Links to model railroad sites. Links to vendors and suppliers. Links to clubs and organizations. 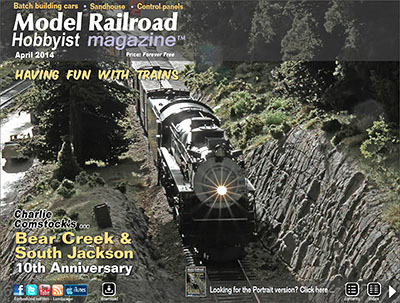 Links to railroad related magazines. 61924 people have visited this page since June 23 1999. Sign my guest book. Read my guest book. Send feed back to . This page and images Copyright © 1999-2015 by Charlie Comstock. All rights reserved.